In a medium sized pot, add the heavy cream, nutmeg, a pinch of salt, and pinch of white pepper. Bring to a simmer. Add the cream to your blender then add the Parmesan. Purée the mixture on high for two minutes, or until completely puréed Taste the seasoning, and salt if needed. Place bowls of pasta in front of your guests at the table. 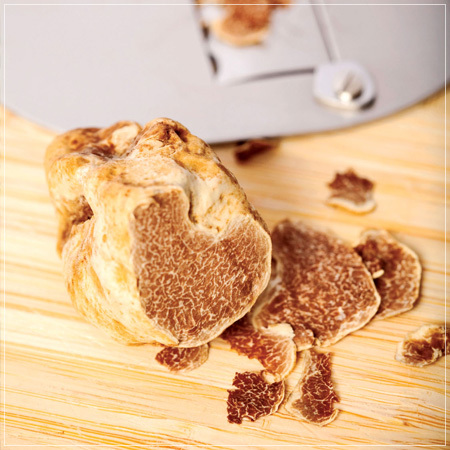 Using that truffle shaver in your collection of kitchen gadgets, shave four-to-five thin slices on each plate. 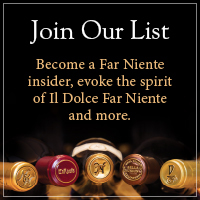 Enjoy with a glass of Far Niente Cabernet.